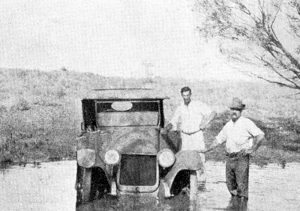 Motor cars are often put to severe tests in the country districts of Australia, but it would be hard to imagine a more severe task than that which was recently asked of a Buick. The car shown in the pictures, covered a journey of 1,500 miles from Roebourne, (W.A. ), to Perth. 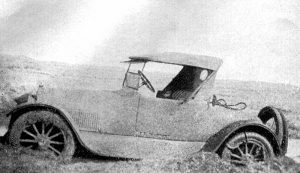 The country traversed is for a great part rough, and in places, treacherous, but the Buick, a 1919 model, came through with flying colors. The illustration above gives some idea of the boggy nature of the soil. The car has sunk well down to the rear axle, and the mud on the front wheel is several inches thick, yet the owner, Mr. Keith Mackay, assures us that the car got out of this bog UNDER IT’S OWN POWER. 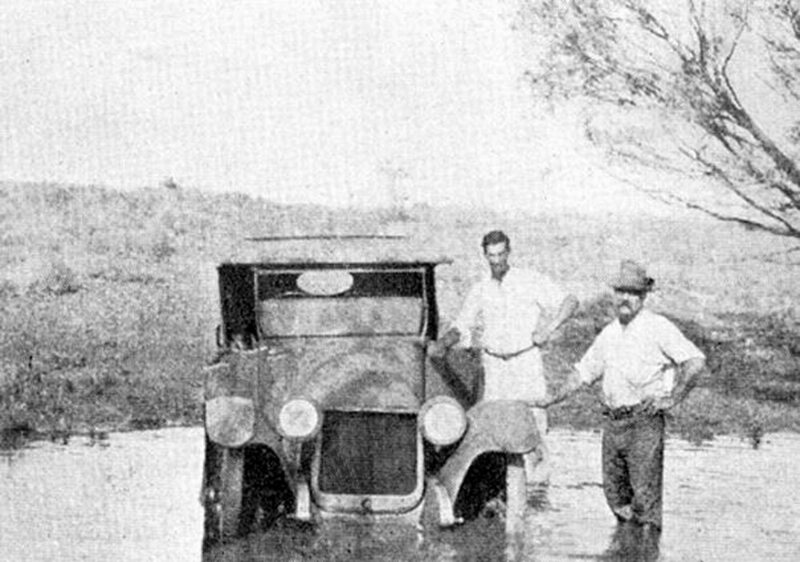 The Buick treated the creek shown in the second illustration as something of a joke. She carried three passengers with their luggage, and on the whole trip not one mechanical trouble occurred. There were nine punctures, but as a. gentleman who knows the country remarked, “It is a wonder there were not 90 punctures and a few funerals.” With the exception of one night when the car ran until 10 p.m. all the traveling was done in daylight, the journey occupying four and a half days. Roeburne is a township on the north-west coast. It would serve as a fine location for a moving picture, dealing with an incident in the back blocks.